Nothing is more dangerous than trusting a defective voltage indicator to test for a dead circuit. Safe electrical work requires the use of a voltage indicator that has been proved with a proving device before and after use. The new VI15000 has a 1000V CATIV safety rating and LED indication for AC/DC voltages from 50V to 690V and above, ensuring compliance with health and safety recommendations for safe working in all BS EN61010 installation categories. It’s the simplest and most reliable way to ensure circuits have been de-energised and properly isolated prior to maintenance and modifications. Based on the industry endorsed VI3800, the new CATIV design not only provides improved protection against voltage transients, but also includes a high wattage resistor that will limit the current in the event of damage to the cable in accordance with BS EN61243-3. 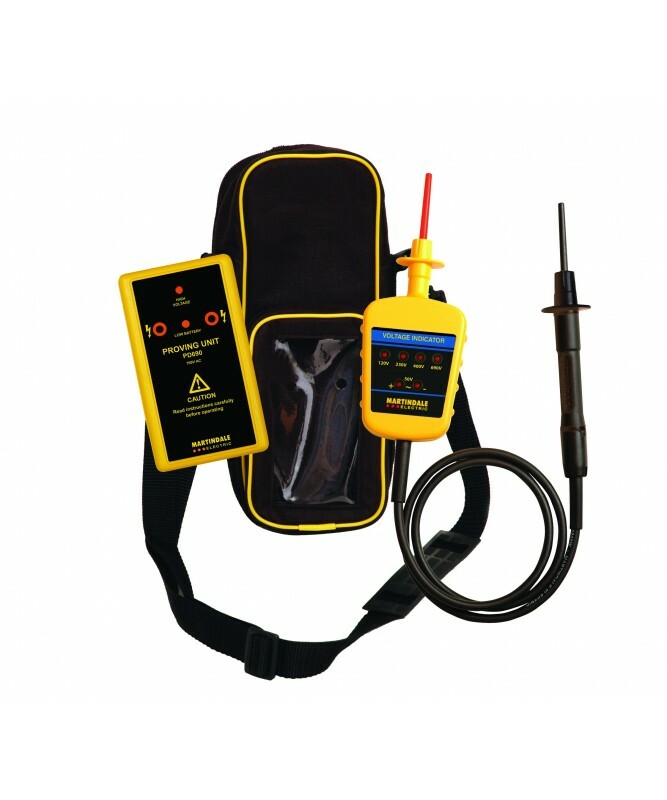 The protection is built in where it’s needed, in the handheld probe assembly rather than just in the instrument providing superior protection for the user to other testers. The heavy duty, double insulated cable, large finger guard and a retractable, lockable prod sheath make this the safest, most durable and reliable instrument of its type. The PD690 proving device produces 700V AC/DC to enable voltage indicators and other devices with ranges up to 700V to be checked. It is a portable, battery powered proving unit with the option of being driven from a 12V supply via a car or mains power supply. 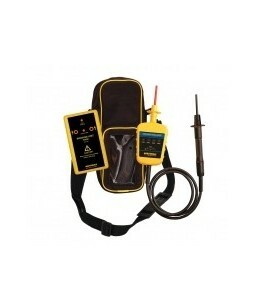 The kit is supplied with a combination carry case for both VI and PD products.